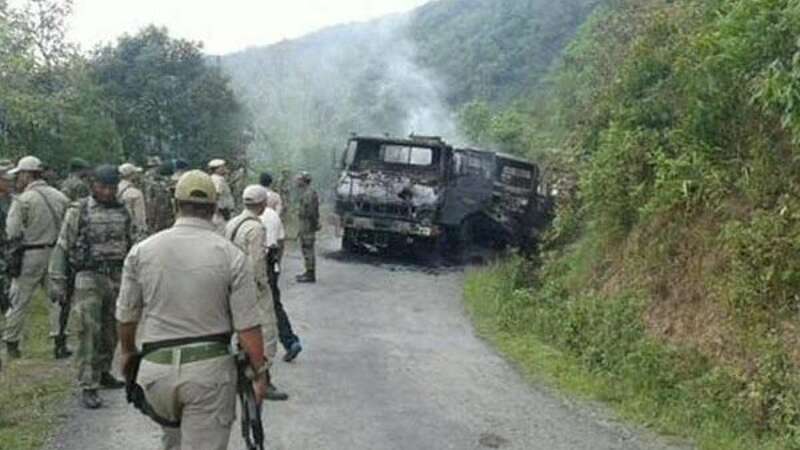 Manipur : 18 armymen lost their lives and at least 11 were injured on Thursday in a militant attack on their convoy in Manipur's Chandel district. The attack has been marked as the worst Army suffered since the Kargil War of 1999. A counter terror operation has been planned to dig the militants out. Prime Minister Narendra Modi tweeted, "Today's mindless attack in Manipur is very distressing. I bow to each and every soldier who has sacrificed his life for the Nation." The incident took place at around 8:30 AM on Thursday.